GAGE Lounge wanted a visually dramatic design to complement its retro-inspired cocktail lounge. Maintaining the upscale vibe was key, but the nightspot required more acoustic control in the lively bar area. GAGE Lounge is an upscale, modern bar and lounge in downtown Houston, inspired by the fashion trends of the ‘60s through the late ‘80s. The destination stays buzzing with club-goers and features drinks named after celebrities like Prince and Annette Funicello. GAGE Lounge owners and managers wanted to maintain the energy of their cocktail lounge, but the crowds made acoustic control in the space a challenge. For servers and bartenders, a high noise level isn’t only uncomfortable—it can be dangerous. To give some perspective, construction workers are required to use hearing protection if the worksite reaches 85 decibels. Many bars and nightclubs exceed noise levels well over 90 decibels. GAGE partnered with designers from Studio DW, who planned a solution for the bar with acoustic health in mind. 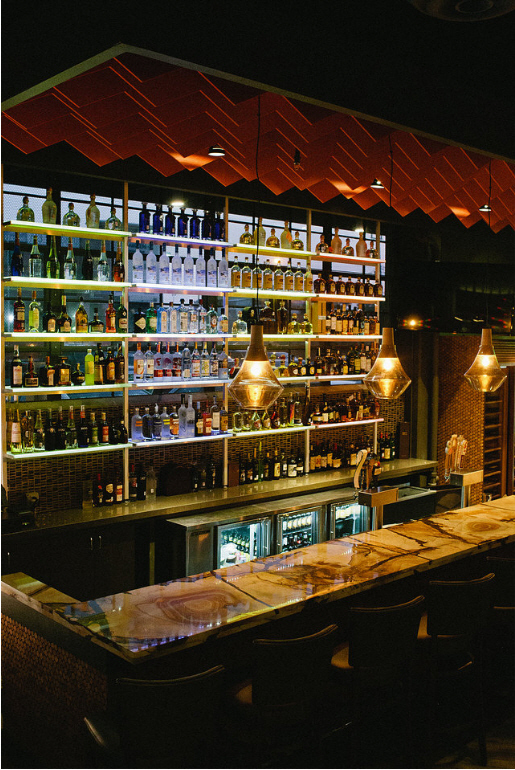 They selected Kirei’s Simple Baffles, which were custom cut and installed for noise absorption above the bar. The panels come with a high NRC (noise reduction coefficient), making them an ideal choice for busy nightclubs bustling with guests. 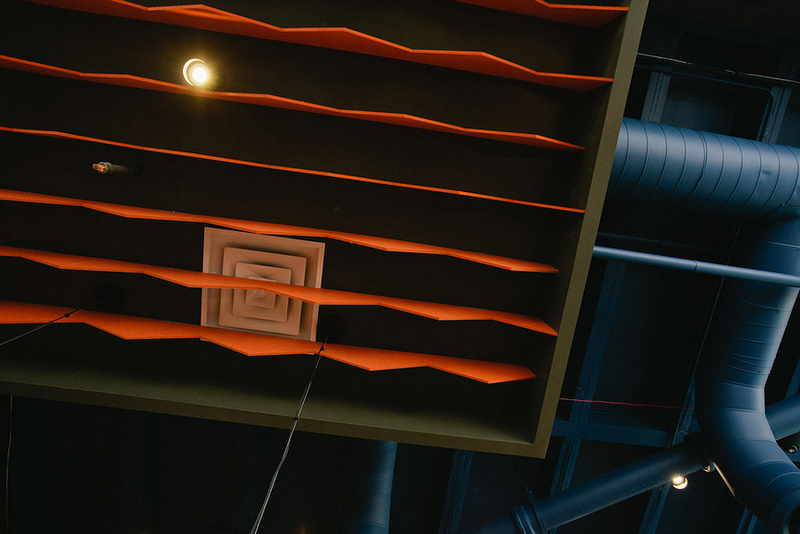 The new baffles successfully helped to manage acoustic control in the space, improving the sound quality and safety for both staff and customers without compromising ambiance. Through the sound-absorbing qualities and visually dynamic design of the Simple Baffles, GAGE Lounge didn’t need to sacrifice an elegant look for acoustic control in its trendy space.